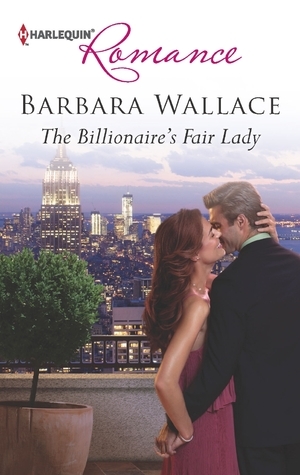 I am happy to welcome back to Ex Libris Barbara Wallace, whose last novel Weekend Agreement I LOVED, so when I heard Barbara's newest release, The Billionaire's Fair Lady, was a modern day Cinderella/My Fair Lady retelling I was more than excited! :-D Please give a warm welcome to Barbara as she tells us why she chose to build her latest story around classic fairy tales and if you share your opinion, you could even win yourself a copy of The Billionaire's Fair Lady! Some day my prince will come…. Three decades later, those words are still interesting to me because they demonstrate how important fairy tales have been in my life. Not just in terms of getting me into a good college, but in my career as a writer. What I find most interesting of all is that I’m not alone. Even after decades of positive feminist progress, fairy tales still resonate with women. Want proof? Just look at the shelves of your local bookstore. Why are we so drawn to stories based on fairy tales? Looking around at my laundry, dirty dishes and overflowing inbox, my first instinct is to say we love fairy tales because they capture that sliver of time before real life starts. You know, when Prince Charming is still Prince Charming and leaving his sailing magazines piled on the family room floor. And that might be true. But I think there’s more to the reason. My recent Harlequin Romance novel, The Billionaire's Fair Lady, shares themes with two fairy tales: Cinderella and the Ugly Duckling. Roxy O’Brien is a struggling single mother hoping a pile of love letters she discovered in her mother’s closet are her invitation to the ball. Their contents may or may not prove she’s the heir to a billion-dollar fortune. Enter our reluctant prince, Attorney Michael Templeton. Mike needs Roxy’s story to be true as badly as she does. The future of his law practice depends upon it. To help Roxy prove her claim, however, he must first take this cocktail waitress and turn her into the perfect heiress. Which reminds me - The Ugly Duckling story is another fairy tale I think resonates with us all. We’re all insecure by nature. I know I look in the mirror and my eyes immediately go to the extra five pounds or the bad hair day. (Wow, messy house and bad hair. You all are getting some real insight into my life here, aren’t you?”) I’m betting I’m not alone. What’s great about the Ugly Duckling stories is that ultimately the duckling discovers the swan was there inside all along. Just like when Cinderella goes from ashes to princess. Her true beauty wasn’t her dress, but inside her soul. That’s what the Prince ultimately falls for, and it’s what turns the Ugly Duckling beautiful. That’s why I love romance novels like The Billionaire's Fair Lady. In the end, true love wins not because the heroine is beautiful or had a terrific make over, but because deep inside she is worthy of being loved. We see her overcoming obstacles to find her happy ending and we believe we can too. By the way, as an interesting side note, my next Harlequin features a heroine who, like Roxy, needs to pick herself up from poverty. She discovers the secret to her finding true love and happy ever after lies in learning to become an independent, strong female. Somewhere my college professors are smiling. Look for The Courage to Say Yes this fall. Barbara has very generously offered a copy of The Billionaire's Fair Lady to a lucky commenter! All you have to do is tell us: Why are we so drawn to stories based on fairy tales? Why do you like them? Giveaway is open worldwide and ends on 19 January 2012! ps. for a chance to win 2 great stories by Barbara Wallace, enter the giveaway at Book Lover Inc.